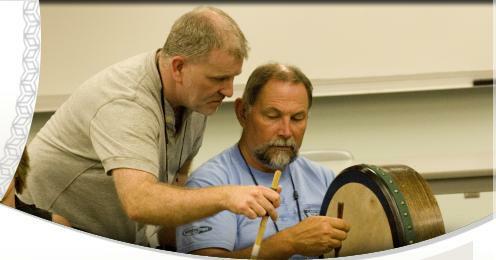 Celtic Performing Arts and The Pacific Institute of Piping welcome you to a world class international summer school. A key component of CeltFest, the weeklong summer school offers classes in a wide variety of subjects from music to dance to language, art and poetry. Held in the beautiful seaside village of Oak Bay, Victoria, in the state-of-the-art learning facilities at the Canadian College of Performing Arts, CeltFest summer school is the heartbeat of the festival. It offers instruction to all ages and abilities from beginner to professionals and on a full-time basis. Evening workshops, concerts and dances round out the exciting days. Instruction is delivered by a world class faculty with numerous distinctions and accomplishments to their credit. At the same time, the school embraces a relaxed approach, providing individuals, bands, and other groups the opportunity to train individually and also all together. Training, jamming and socializing outside of class is encouraged. This has proven especially effective at building the competencies and synergies of bands, ensembles, and dance troupes. Students may be day students or may stay on-campus in reasonably-priced residences that feature private rooms, semi-private bathrooms in your choice of configuration. The "cluster configuration" dorm features full kitchens and living area, and is especially family-friendly. If you're accompanying a student, join us in evening courses such as song, pilates, ceilidh, Gaelic language, bodhran, or step dance. If you'd like to try one out, see the Celt Office during the week and we can arrange a drop-in. Or, for a limited time, you may purchase a CeltPASS, which admits you to evening subjects of your choice, as well as to all concerts and ceilidhs. All participants, their family and friends are encouraged to join us in the evening events. Be sure to enjoy all the fun and entertainment. Accommodations for CeltFest participants have been set up at UVic Residences, a short drive or bus trip away. Meals for CeltFest participants are available on UVic campus, or alternatively, a short stroll from CeltFest Central in Oak Bay at 1701 Elgin Road. NOTE: we are looking at the possibility of providing pre-ordered lunches for CeltFest students. Would you be interested in ordering lunches? Please contact us to let us know.